Hello, friends! 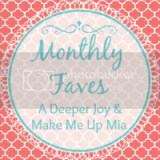 Time to share some my favorite things, eats, entertainment, and event from the month that just wrapped up! It's almost too lovely to write in, yet too gorgeous to resist using! 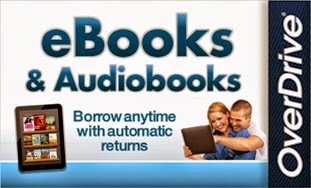 This free app allows you to check out eBooks and audiobooks from your local library. Once you've chosen one (or two, or three) you can read/listen/enjoy on your iPhone, iPad, or iPod for free! While I was sick and not feeling up to focusing on reading a book myself, I really enjoyed resting while authors read their work to me. 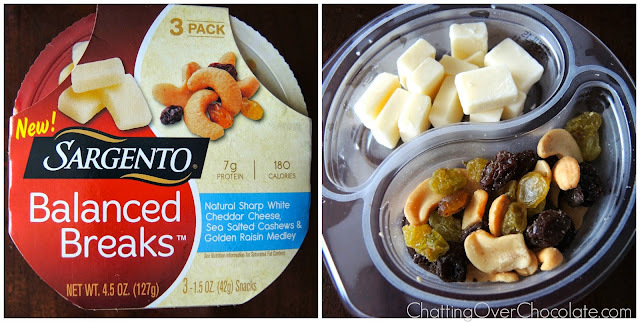 I am addicted to these yummy little snack packages! They have become my go to lit'l lunch on a busy day, or quick bite on the go. They come in other varieties as well, each with cheese, nuts, and either raisins or craisins. This particular pack just happens to be my current jam! I love me some sharp cheddar, cashews, and golden raisins. Together they're even better! For only 180 calories I don't think they can be beat! This was my favorite night of television in 2015 so far! I enjoyed it so, so much! 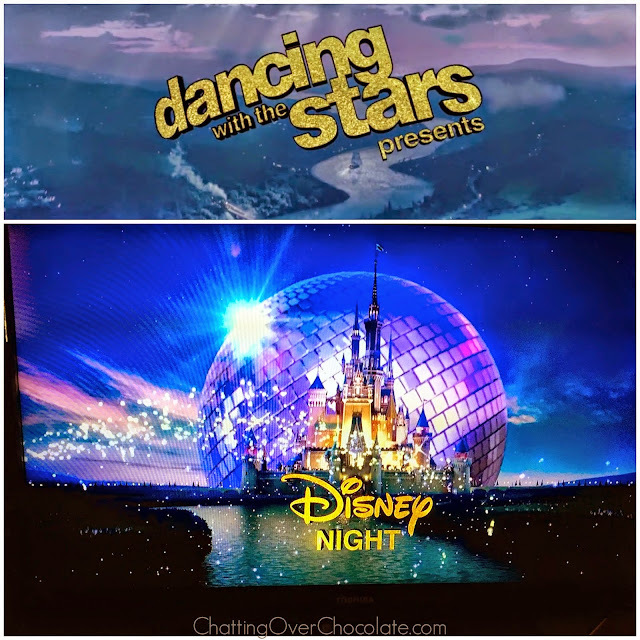 If you missed it, check out my fave dances of that night here. This lip goody came in my Target Spring Beauty Box. I love the shade! 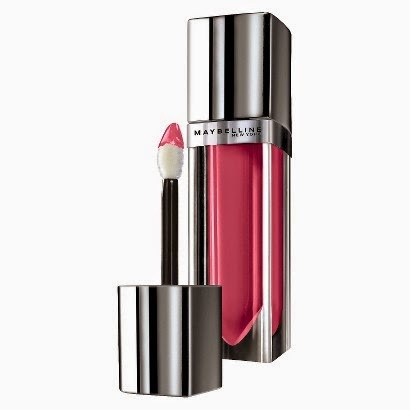 A girl can never go wrong by adding a lit'l more pink to her day! The script reads, "A smooth sea never made a skillful sailor." 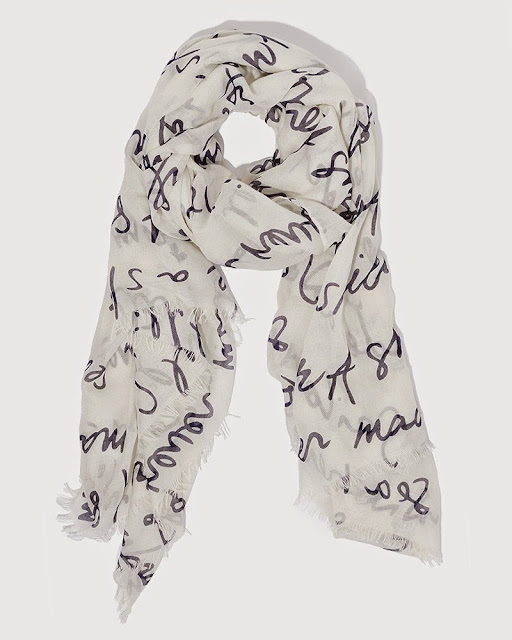 I picked up this pretty accessory during CC's buy 1 scarf, get 1 free offer. I adore it! The highlight of April was celebrating Jesus' victory over sin and death! Apart from the blood He shed, I'd be without hope and destined to pay for my own sins. The Bible clearly tells us that the wages of sin is death and an eternity in Hell, both of which I'm fully deserving of. Yet, God in His amazing lovingkindness made a way for sinners, like myself, to be made right with Him. He humbled Himself to be born a babe, Jesus Christ, and lived a life free of sin (as He alone could, being fully God/fully man). Christ then willingly died on the cross and victoriously rose from the grave three days later! His sinless blood was shed, that all those who repent and place their trust in Him shall be saved! You see, a human judge wouldn't be considered "good" if he simply let lawbreakers go free without paying their just penalty. How much more this is true of God who is Just and Holy. He would not let lawbreakers go free without payment for breaking God's laws (the 10 commandments) or He'd be corrupt. He is good, and makes certain that justice is indeed served. He is also rich in mercy, so according to His Sovereign plan He sent His son Jesus Christ to pay for our sins! In this perfect plan, He receives all the glory, we are set free as our debt is paid in full, and we have hope eternal through Him! While celebrating this on Easter Sunday was the highlight of April, it's also what I rejoice in daily! He is unspeakably good! Ohhh I never realized those Sargento Snack Breaks were 3 packs! I thought they were a little pricey because I thought there was just one small pack. Definitely going to pick some of those up now. They are a perfect snack for on the run. I've never heard of those Sargento snacks but I would really like those! I'm going to look for them in my store the next time that I go. Still loving your water bottle and notebook. I'd be afraid to write in it too because it's so cute but I guess that's what it's used for :-p Also still love that scarf from CC...even the words on it just seem perfect. I need to write that down and keep it on my computer at work! 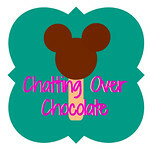 Thanks for linking up with us, Brenda! Love reading your posts always! I love your Kate Spade goodies, so pretty. I'm an Ebates fan too :) I recently saw a commercial for those Sargento snacks, I am going to be looking out for those. They look so good! Thanks for joining in with us girl, hope you are having a wonderful week! I'll have to be on the lookout for those Sargento snack packs. Looks yummy! 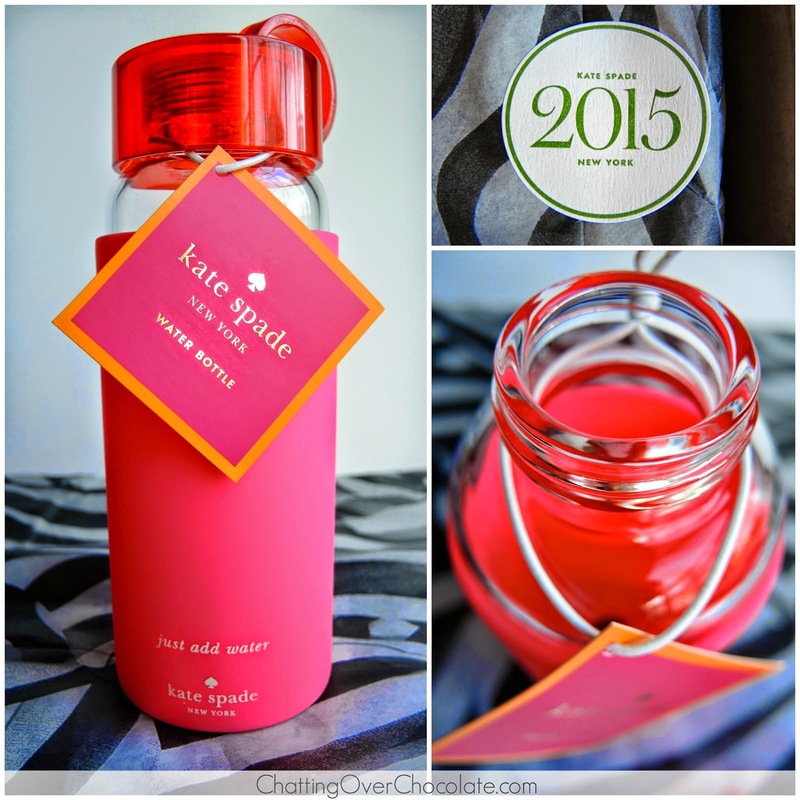 I have been eyeballing that Kate Spade water bottle for a while now, I love it! 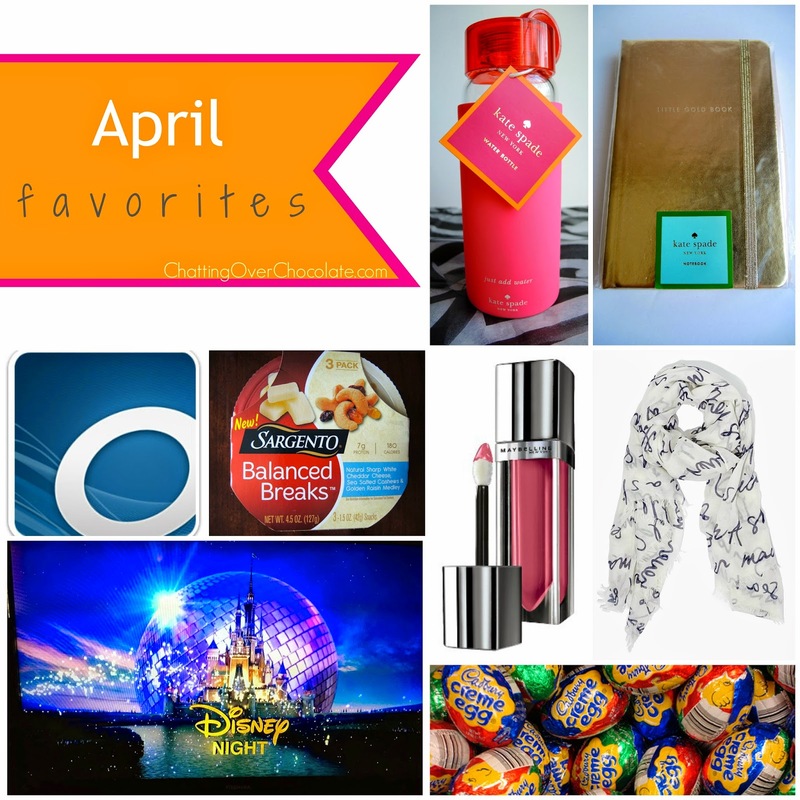 (: I also think I'm going to have to try those Sargento snacks, they look so yummy! Kate Spade is just too pretty to pass up... Love your list!! 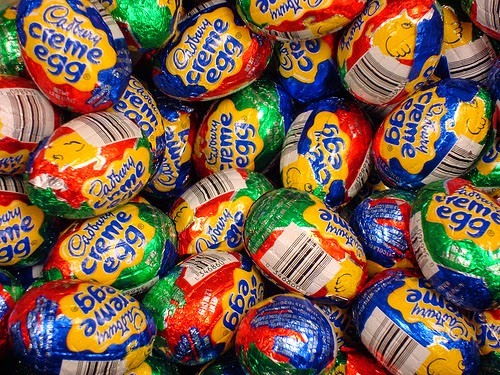 Oh cream eggs, they are so tasty! I actually managed to control myself and only ate 2 the whole time they were out. That snack pack looks so good! I love all of your favorites! Great way to share the Word, too!!! Oh, and let's not forget those yummy Cadbury Eggs. They're always my favorite!!!! That water bottle! Oh I totally want one!! And that little notebook is SO gorgeous! Easter! Oh how I love celebrating Easter! I'm sad it came and went so quickly this year, but did my best to enjoy every second of it! 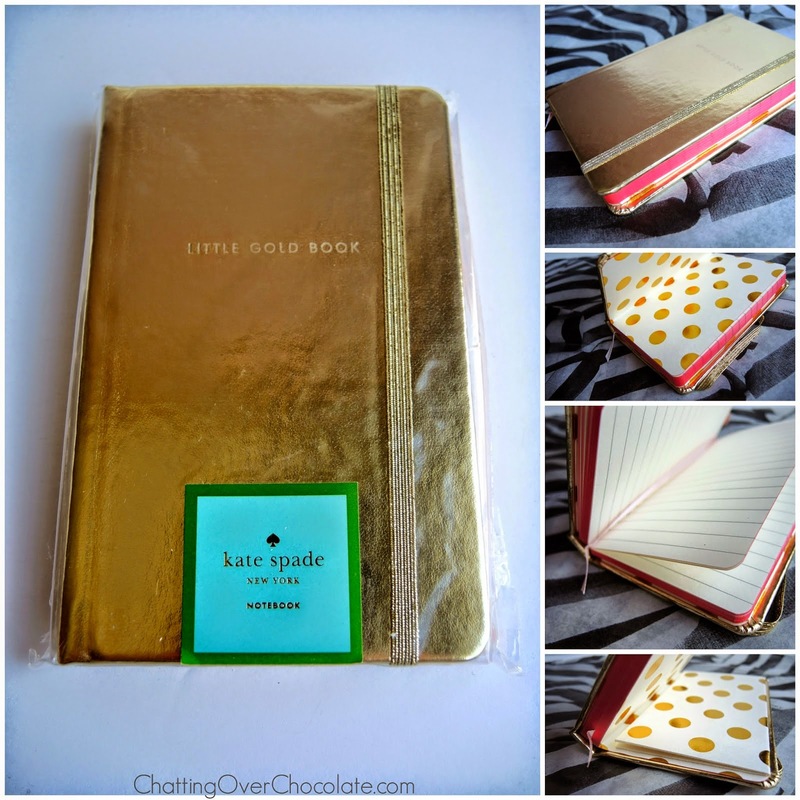 I love the Kate Spade items! So cute!